New research has found one reason why interacting with someone in a face-to-face setting can be more effective than communicating over a telephone. The study was published in the journal Computers in Human Behavior. “The ubiquity of social media as a new form of communication led me to wonder about the nature of social interactions occurring over social media: Are these social interactions perceived and experienced in the same way as interactions between physically present individuals?” said study author Gentiana Sadikaj of McGill University. “Although research evidence is not conclusive, a large number of studies have documented that interactions mediated by technology such as text messaging and phone are less satisfying than in-person interactions,” she explained. The study compared 92 romantic partners’ in-person interactions with their over-the-phone interactions. (The participants were all cohabiting heterosexual couples.) During the interactions, each participant rated their own and their partner’s affiliative behaviors, which refer to friendly and positive communications that promote social bonds. The researchers found that over-the-phone interactions were associated with a reduced perception of affiliative behaviors. In other words, there tended to be a greater mismatch in how people perceived themselves versus how their partner perceived them during over-the-phone interactions. The accuracy of perceiving affiliative behaviors was higher when interacting in-person. “We do not fully appreciate the degree to which another person feels connected with us when we interact over the phone. For reasons that may be related to our biology (i.e., evolutionary pressures may have shaped our biological communication apparatus to favor the processing of in-person interactions), we seem to be more accurate in perceiving an interaction partner’s affiliative behavior when we interact with the partner in-person than when interacting over the phone,” Sadikaj told PsyPost. “We need to identify processes underlying our findings. For example, is less accuracy in perceiving affiliation by others due to an inability to detect and utilize affiliative cues emitted by an interaction partner?” Sadikaj explained. “This is an important question given that as a society we are increasingly reliant on technology in our interactions not only for interacting socially with others but also for delivering services such as psychotherapy and other health-related services,” Sadikaj added. 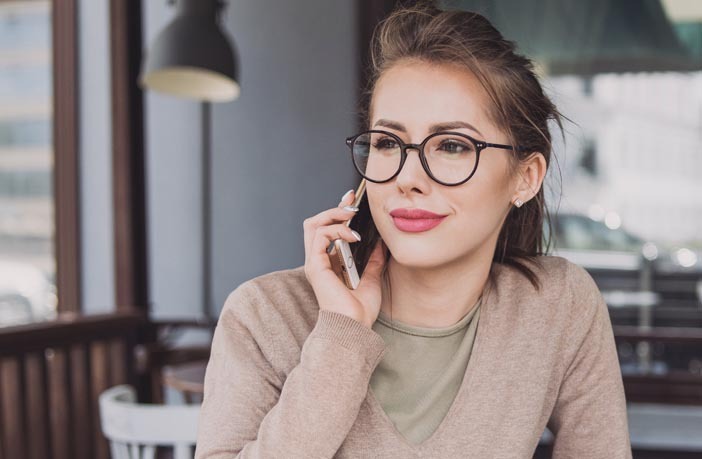 The study, “I hear but I don’t see you: Interacting over phone reduces the accuracy of perceiving affiliation in the other“, was authored by Gentiana Sadikaj and D.S. Moskowitz.